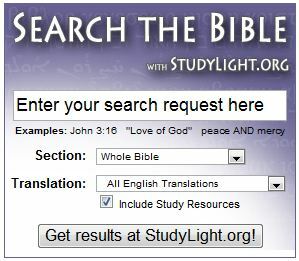 With StudyLight.org's custom search plugins you can share God's Word with those visiting your church, ministry or personal web site. 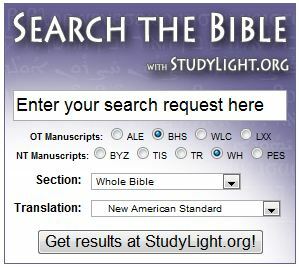 Since they are customizable you can choose how you want them to look. 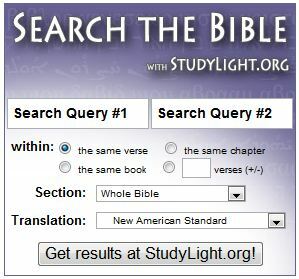 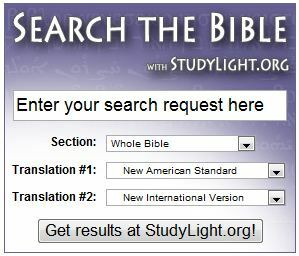 The Bible plugins extend the functionality of StudyLight.org and are specifically designed so that no data is collected from any site on which they appear.